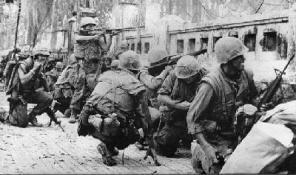 On January 30, 1968, Tet Offensive began. On January 30, 1968, Tet Offensive began. Early in the morning, North Vietnamese troops and Viet Cong forces attacked both towns and cities in South Vietnam, breaking the ceasefire that had been called for the Vietnamese holiday of Tet (the lunar new year). Despite the misgivings of the senior commanders, Operation Shingle moved forward on January 22, 1944, with the British 1st Infantry Division landing north of Anzio, the 6615th Ranger Force attacking the port, and the US 3rd Infantry Division landing south of the town. 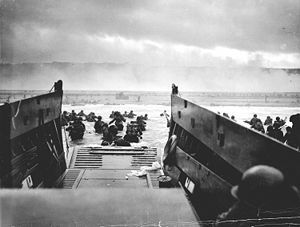 Coming ashore, Allied forces initially met little resistance and began moving inland. 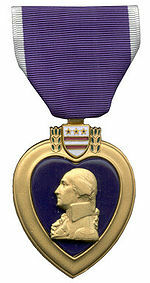 By midnight, 36,000 men had landed and secured a beachhead 2-3 miles deep. The Gulf War (2 August 1990 – 28 February 1991), Liberation of Kuwait code named Operation Desert Storm (January 17, 1991– February 28, 1991) commonly referred to as simply the Gulf War, was a war waged by a U.N.-authorized coalition force from 34 nations led by the United States, against Iraq in response to Iraq's invasion and annexation of Kuwait.